Håfa hao pon cho'gue...yanggen un li'i yu? Kao pon hånao...gini mågi gi fion-hu? Musician-Singer-Songwriter Joe Guam was born Joseph Jerard Quan Pereira in October of 1981 on the island of Guam, USA. He has performed in cities all over the mainland United States, Hawaii, Manila and Japan but returned home to the village of Mangilao, Guam in 2011 to reunite with family and his island. 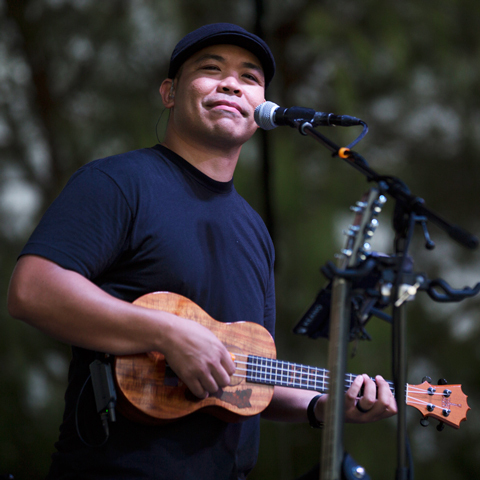 In 2015, Joe signed as an ukulele artist with KoAloha Ukulele (Oahu, HI) and in 2018 was named the Guam Island Music Awards Best Male Performer of the Year. Joe was married to his wife, Jackie, in 2013 and they have conceived 3 beautiful children - Dolce Cecilia, Teagen Michael and Fidei Pereira. He continues to live happily on the island Guam performing for an average of 300 events annually.